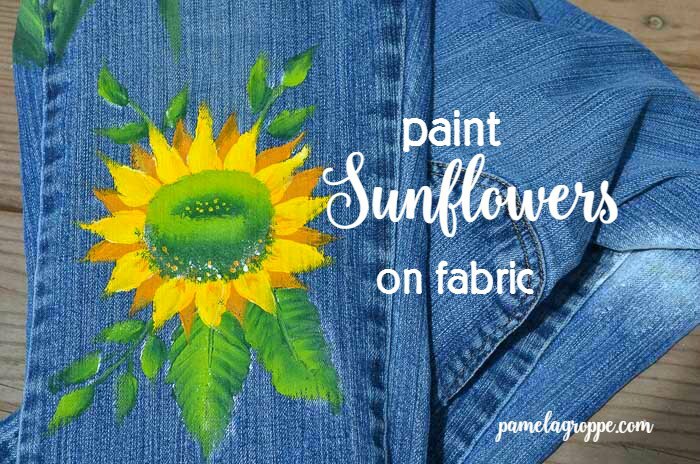 How to Paint Sunflowers on Fabric, specifically jeans. 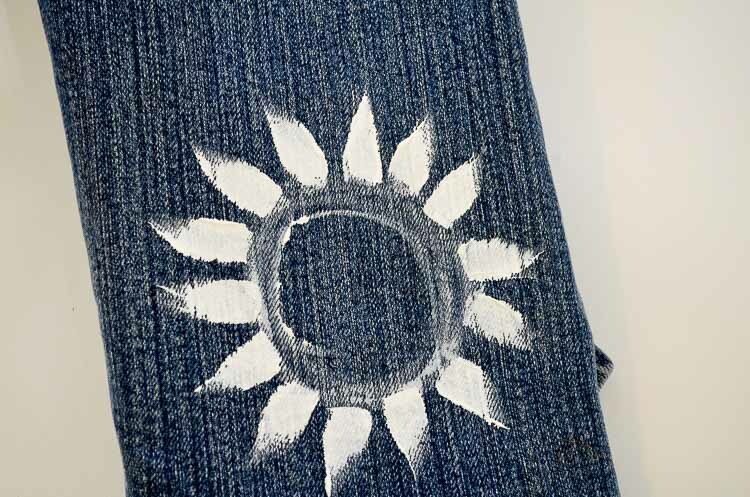 An easy step by step lesson on how you can gussy up any old pair of jeans with paint. Have fun and create one of a kind apparel! Happy Sunflower painting day! 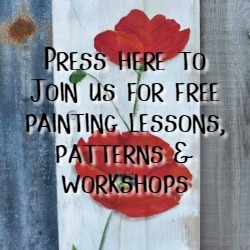 Yes, today I am going to show you how to paint sunflowers on fabric. Jeans to be specific. 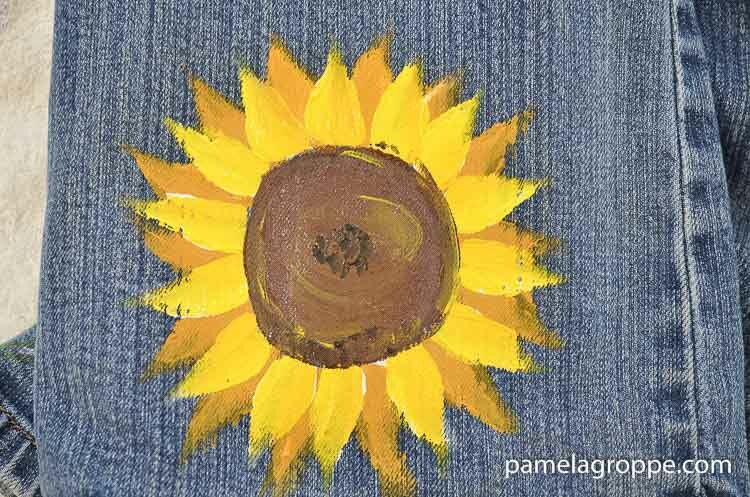 Painting sunflowers on fabric is fairly easy, even for a beginner. On jeans (or most darker fabrics) we need to add an extra step. An undercoat of white. Because it helps to get more vibrancy from your colors. I like my colors to be bright but if this is not that big of a deal for you then go ahead and skip that step. The video is linked at the end of this post. 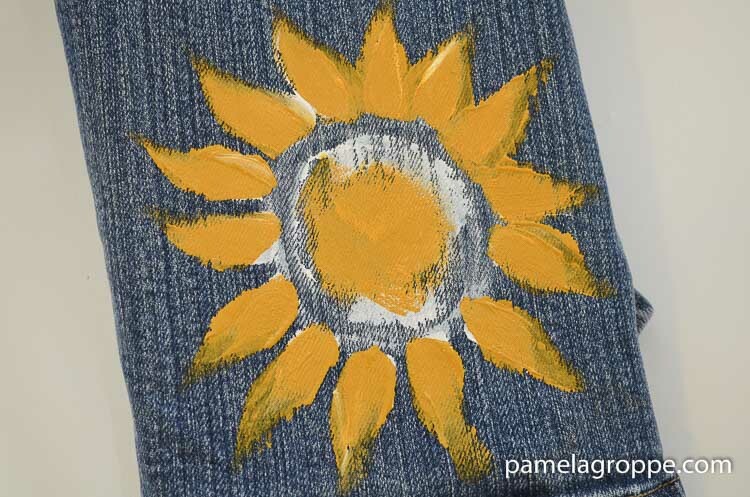 I start with some older jeans, if I am scouring thrift stores I like to score some jeans on the cheap to paint. This would be really great on a jeans jacket or denim skirt too. Wash and dry them, make sure NOT to use any fabric softener, that can hinder the paint from soaking in. I let that dry or speed up drying using a blow dryer. Then I use either the #12 flat with Yellow Ochre to create the back petals using my petal leaf stroke. I let that dry. With the help of a blow dryer it takes a few minutes. Most of the time I have a few projects going at a time and I move on to something else and let things dry on their own. The colors I use for the front petals is a double load of Daffodil and Moon Yellow. I use the same stroke as the under painting and the #12 flat brush. The two colors work well together and having the brush double loaded like this will make the petals just a bit more interesting. In my video I only used one color. Stroke all the way around until you have all the front petals done. On this sunflower I am doing the darker brown center, in the video I show you how I do a green and yellow center with a different technique. Here I use Burnt Umber and stroke in a circle with my 3/4″ brush. Just fill it in. Dip a corner of your brush into one of the yellow colors, the Yellow Ochre will do just fine. Stroke in some highlights, a C shape in the center then a few loos strokes around the edges. If you want the center to be a bit darker you can dip the corner of your brush into some Licorice Black and dab in some, you Burnt Umber will still be a bit wet, the black will blend in a bit. 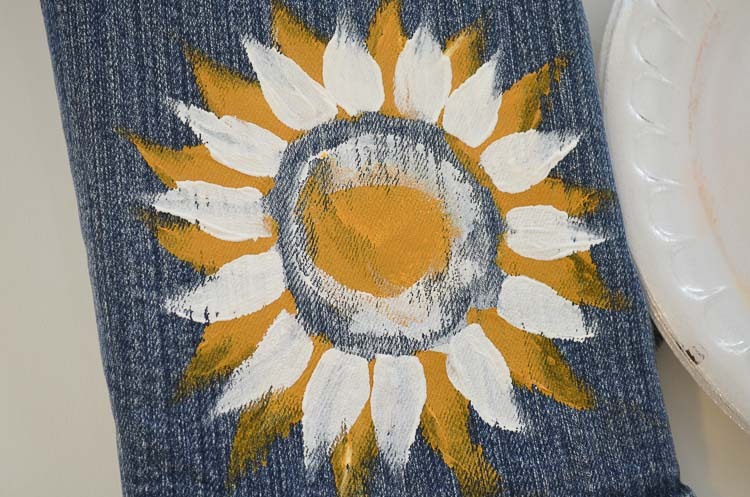 And there you have a lovely sunflower hand painted on your jeans or fabric. When you watch the video you will see I painted the leaves first so the sunflower lays over top of the leaves. This is optional but it is how I usually paint them. The sunflower can be painted alone and it still is a great motif for your items. For access to the downloadable pattern just fill out this form and subscribe. 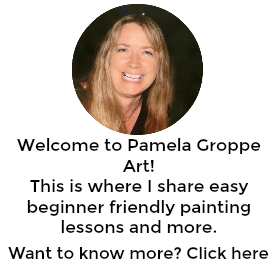 You not only get access to this pattern but everything in the Resource Library. Want to see the video? Here is the heat setting instructions directly from PlaidOnline. More Painting Tutorials for You!